Valves not dorsiventral, lanceolate to linear-lanceolate with broadly rounded subrostrate to subcapitate apices that are not obviously deflected. The axial area is very narrow, subcentral to slightly ventrally placed. The central area is small, rounded and asymmetric, more developed on the dorsal side. The raphe is filiform. Proximal raphe ends are deflected slightly toward the dorsal side. Terminal raphe fissures are hooked toward the ventral side. Striae are weakly radiate, becoming parallel and a bit closer together near the apices. 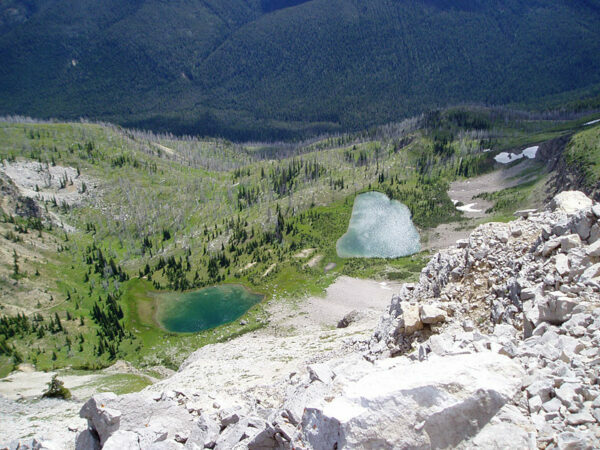 Encyonopsis bobmarshallensis has been collected from two oligotrophic alpine lakes along the Continental Divide in the Bob Marshall Wilderness of western Montana (see photos below). The water quality of these lakes is unknown. 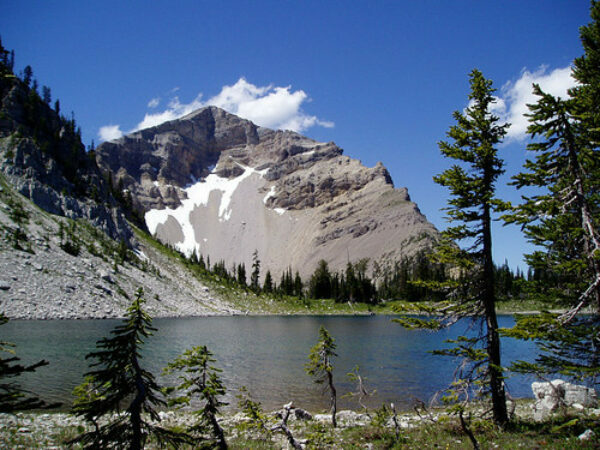 Trilobite Lakes, Bob Marshall Wilderness, Montana. Upper Trilobite Lake (right) is the type locality of Encyonopsis bobmarshallensis. Valves lanceolate to linear-lanceolate, slightly dorsiventral. Apices rostrate to subcapitate. Valve length 8.7–18.7 µm; valve width 2.7–3.6 µm. Axial area very narrow. Central area small, but distinct. Raphe filiform. Proximal raphe ends not inflated, deflected dorsally. Distal raphe fissures curved toward the ventral side. 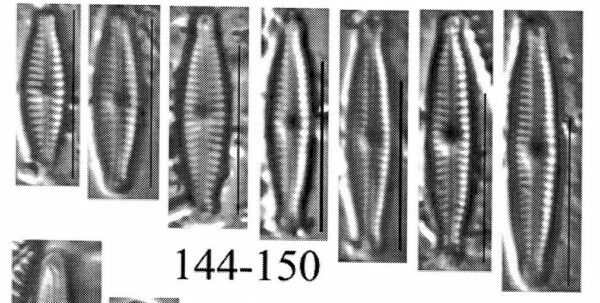 Striae weakly radiate, 22–24 in 10 µm. Valves are lanceolate to linear-lanceolate and less than 20 µm long. A small central area is present. 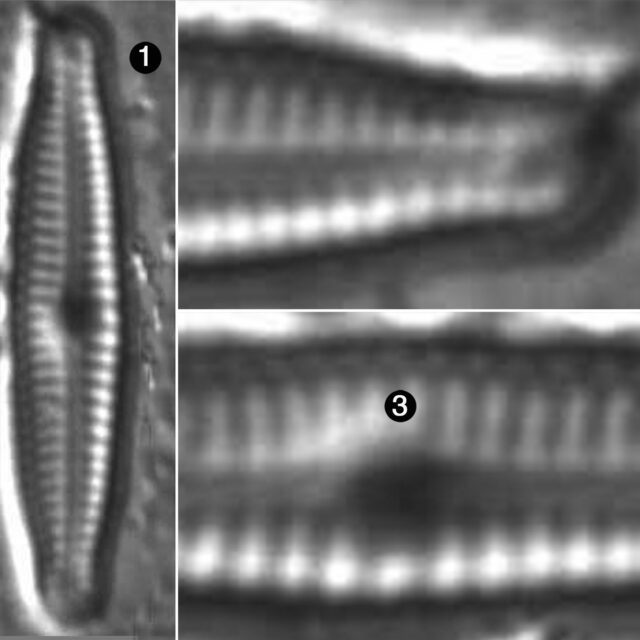 Striae number 22-24 in 10 µm.